In the past I shared how we were trying to get Savannah moved into her own bedroom. Early on, she ended up co-sleeping with us (well for the most part me, as my husband also ended up on the couch for more space). And, when baby #2 came the end of 2011, we finally got her to sleep in a toddler bed we had put at the end of our bed, while baby slept in a pack-in-play in our room. As time went on, we found it difficult to get Savannah acclimated to the bedroom she should have been sharing with her little sister. So, we thought that if we gave her her own room, that transitioning her would be easier, but it wasn't. Now, she grew scared of sleeping in a big room all by herself, and each night anxiety would set in about having to go upstairs and stay by herself. Flash forward to today, and Savannah is still sleeping at the foot of our bed, but beginning to come around thanks in part to this week's Spotlight Mom and her invention -- Debbie Glickman of Fairytale Wishes, Inc. Debbie created a line of All Natural Aromatherapy Sprays for Kids, that can be used to help ease anxieties felt by children for various situations, like being away at camp or a new place, scared of monsters or the tooth fairy, and in our daughter, Savannah's case, sleeping alone. I will share more about how Debbie's spray has been working in my Feature Friday post, where I will also give one lucky reader a chance to win a Fairytale Wishes spray of their choice. 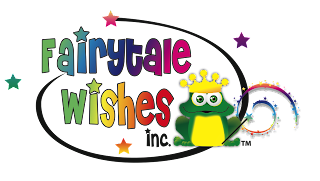 But, in the meantime, please enjoy my Spotlight on Mom interview with Debbie Glickman of Fairytale Wishes, Inc..
"It's nice to be important but it is more important to be nice!" "Dance like no one is watching, Sing like no one is listening, and Live each Day as if it were your last!" I am the mom of Gracie (13) and Joey (10) and the wife of Jason. 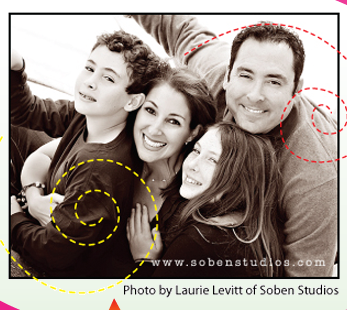 Before I was a mom, I worked in the very fast paced world of advertising for 15+ years. In my spare time—I love to do yoga, read voraciously, watch trashy TV, or steal a coffee with my girlfriends. I look forward to someday traveling the world with my husband and my children. When my son was about 2 1/2 we were transitioning him from his crib to a big kid bed and he was very anxious about having bad dreams and sleeping in such a big bed by himself. After looking everywhere for something holistically soothing for kids to calm him and coming up with a $25 2oz bottle of pillow spray from one of the fancy bath and body stores, I decided to find a way to get something manufactured. I knew of the calming properties of Lavender so I started with a Sweet Dreams Spray and then after talking to many other moms, I realized that young children have a host of common anxieties associated with childhood and decided to create a whole line of products with the goal in mind of "Giving Kids a Happily Ever After!" Getting into Bed Bath and Beyond, Penetrating the Canadian Market, having a presence in 29 states throughout the USA. Also the many awards we have won including the coveted Dr. Toy Best Picks award. Figuring out how I can turn my business into a money making enterprise. People think that because they see your product everywhere you must be making money but they don't know that it takes a lot of money to sustain a small business. The wonderful emails I get from parents who write to tell me how our products have helped their kids. If there is a secret out there—I would love to know it. Ha! It is eternally difficult. I really try to shut down by 3:30 and then answer emails again after the kids are asleep. But during the week, the laundry needs to get done, the shopping needs to get done, dinner needs to get made, the list goes on and on. 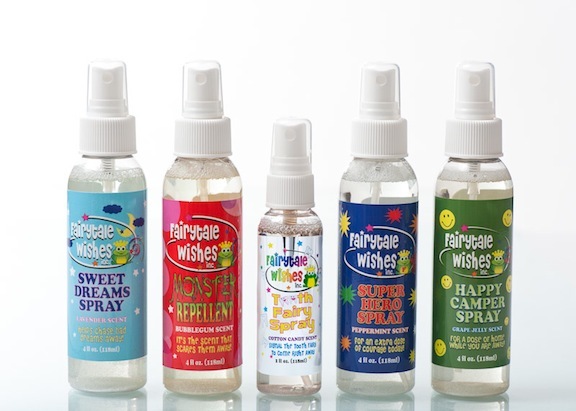 I just introduced a new product Tooth Fairy Spray! Very exciting. We have a lot of product extension ideas so we are looking for investors.